How interesting – I love beets!! What an interesting cookie! I will have to give this a try sometime. Glad you were able to remove the stains! They look great. 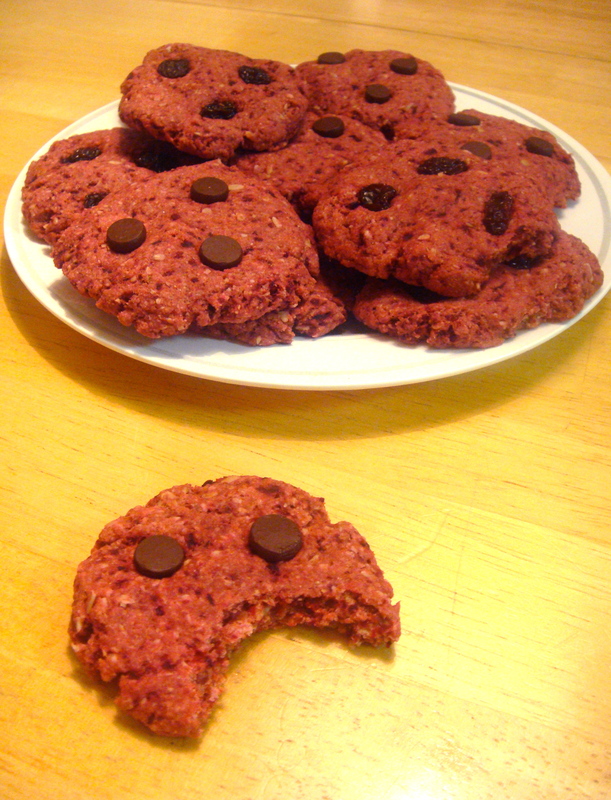 I recently made a cake with raw beet and it was delicious – a ‘red velvet cake’! So I think the cookies make perfect sense. Thanks for sharing them! Thank you so much! I really appreciate it!!! 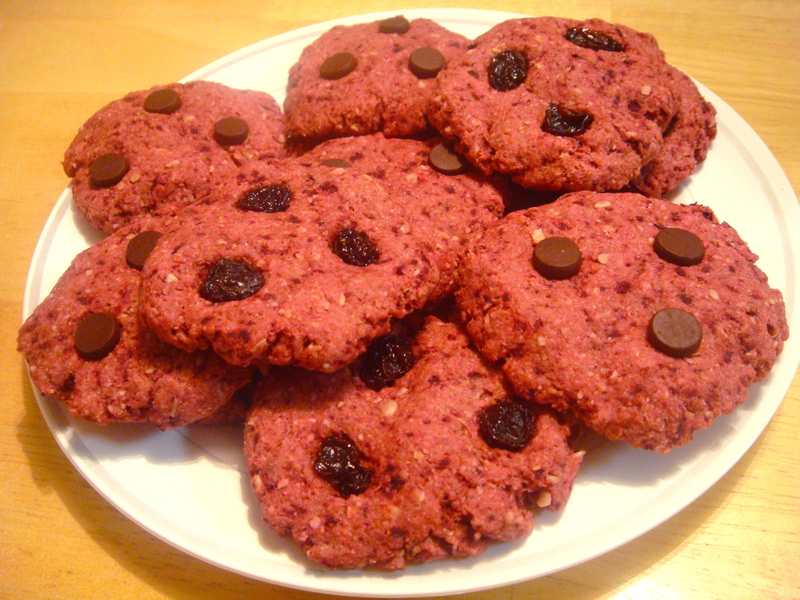 Never had a beet cookie! Sounds interesting. Thanks! It’s definitely a different then your average cookie! Oh exciting idea! 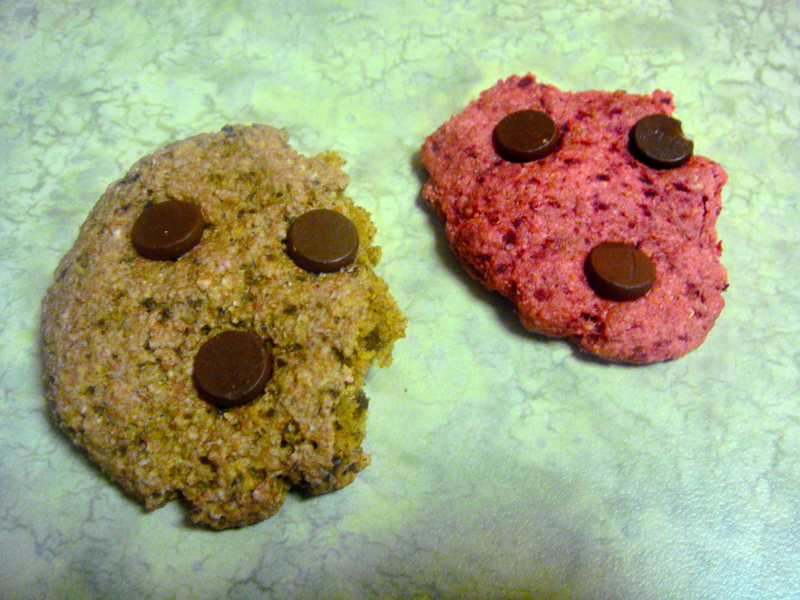 I’m going to have to try to make these paleo!